There are a few constants to consider in designing the dining room, whether you prefer pure contemporary, authentic period or an eclectic composition. Formality is not always a requirement but well planned lighting is crucial, as the dining room is often seen as a nightscape. A spectacular chandelier, stunning sconces, picture lights, even candles can be used in concert with recessed fixtures to create any mood. Give yourself the ability to call on a little drama when entertaining. 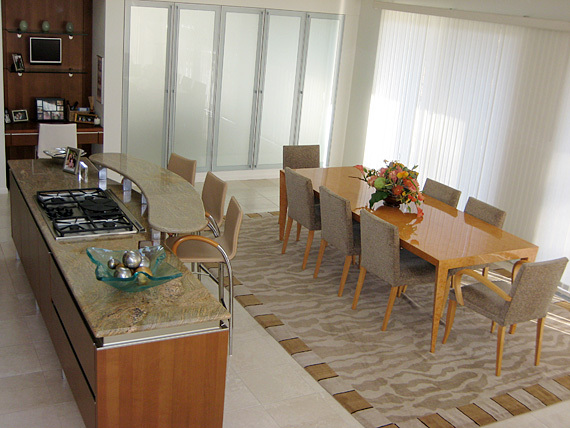 The dining room also requires proper proportion and flexibility. We can design your room to feel inviting for two people or twenty guests.